Born in Alabama, baptized in Aleppo and raised in Indiana, K Á R Y Y N’s early life was divided between the USA and Syria, her identity composed of both Middle-eastern and Western culture. 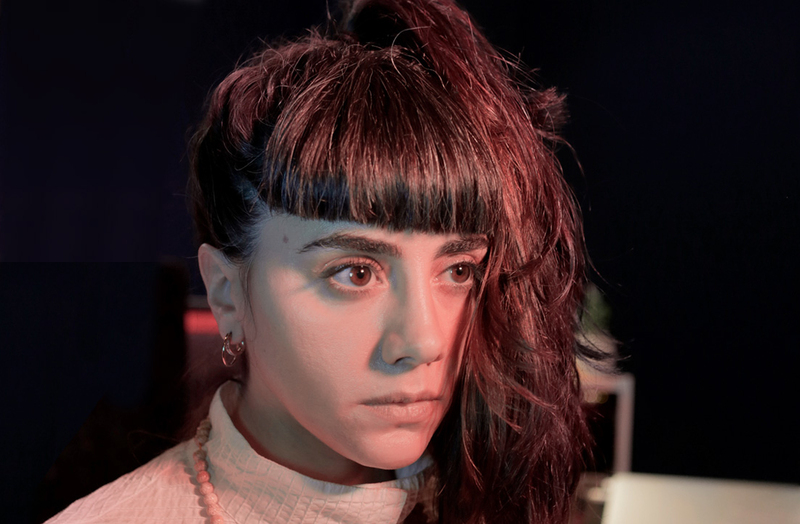 The electronic artist has been endorsed by Marina Abramovic and Björk and in a new interview with Dazed Digital, she speaks openly about how what her home and family mean to her. Read the interview here. "'ALEPPO'... is about my memories. I wrote it two years ago. The streets I knew, the place I knew, was crumbling. There’s a whole world of people there in my head and they’re gone"
Catch K Á R Y Y N live at Le Guess Who? on Thursday, 9 November, together with a.o. Grouper & Paul Clipson, Bulgarian women's choir Le Mystère Des Voix Bulgares, Jerusalem In My Heart, Sudan Archives, and Essaie pas, who perform on the same day.